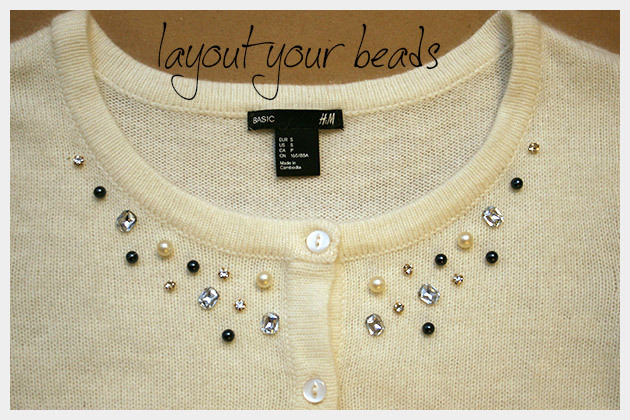 Lay your sweater on a flat surface and place your beads and rhinestones on your sweater where you want them. TIP: Use your phone to take a quick pic of your layout, that way in case they get moved youll know how you had them. You can also make different patterns and see which ones you like best. 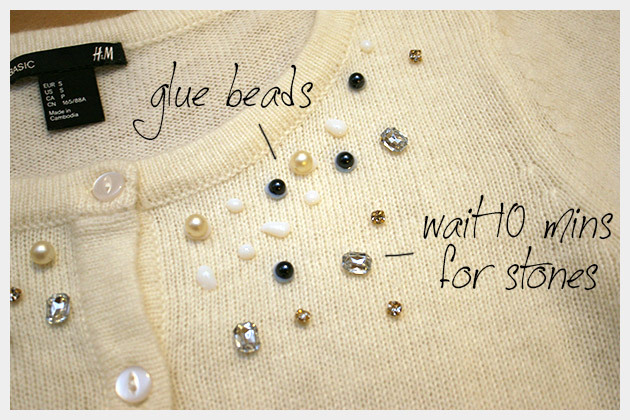 Once you know how you want your beads and stones, use your Jewel-it glue to glue your beads and stones to your sweater. 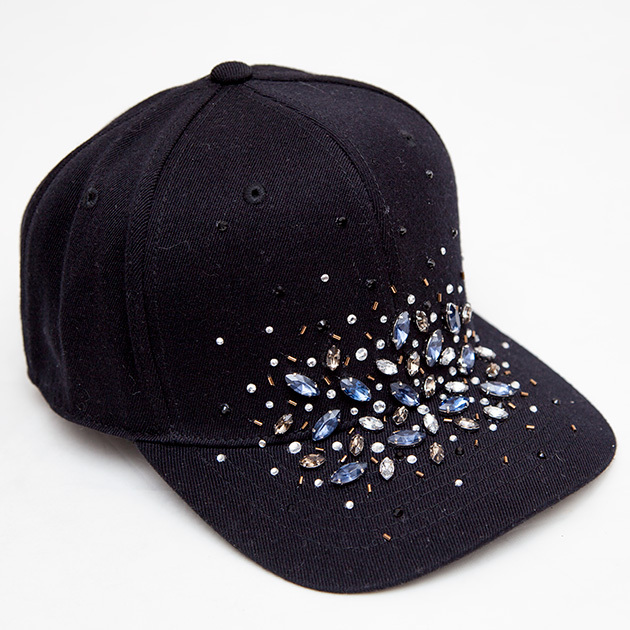 You can press your beads into the glue right away, but for rhinestones and anything with a metal backing they recommend you wait about 10 minutes before pressing them into the glue. 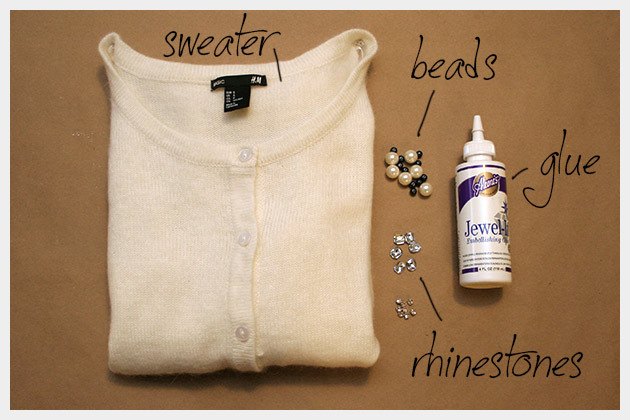 NOTE: You may want to place a piece of cardboard or paper inside your sweater in case your glue bleeds through. The Jewel-it glue holds really well, if you follow my posts youve seen me use it many times before. 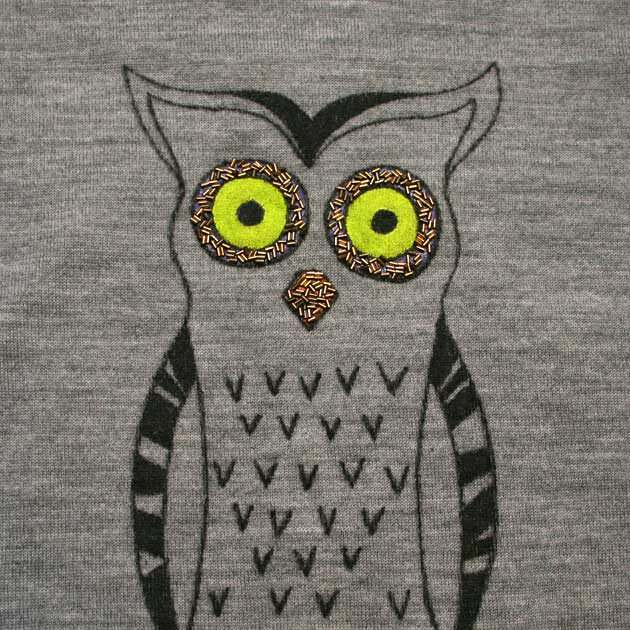 Ive used it on t shirts and thrown it in the washer and they stay really well. 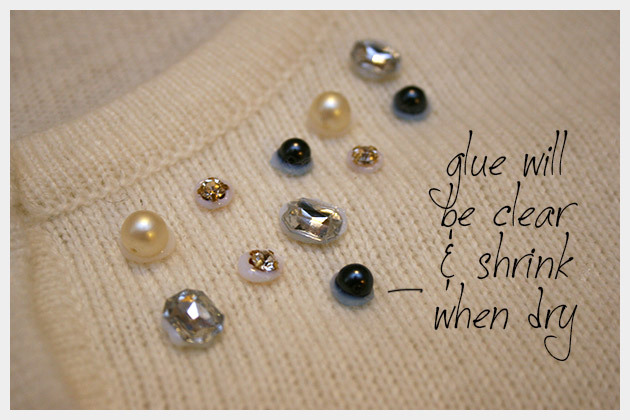 The glue will squish up around your beads and stones, this is ok. As it dries the glue will shrink a bit and become clear. 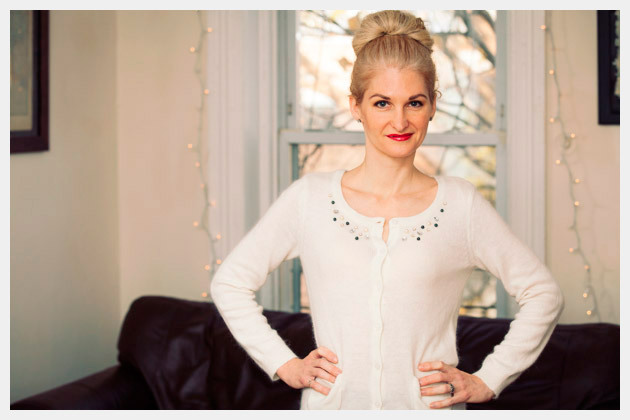 No matter where I am I always find myself in need of at least a lightweight sweater. 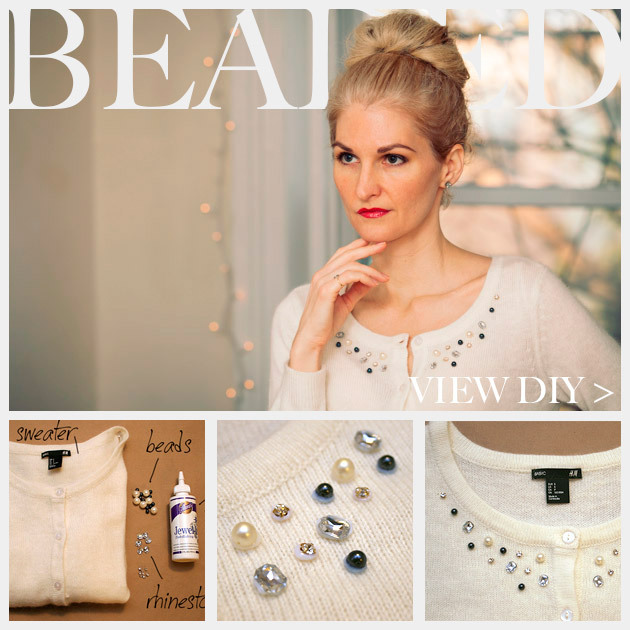 This Beaded Sweater DIY is a quick project to make a glam sweater to throw on over a dress or sleeveless top. 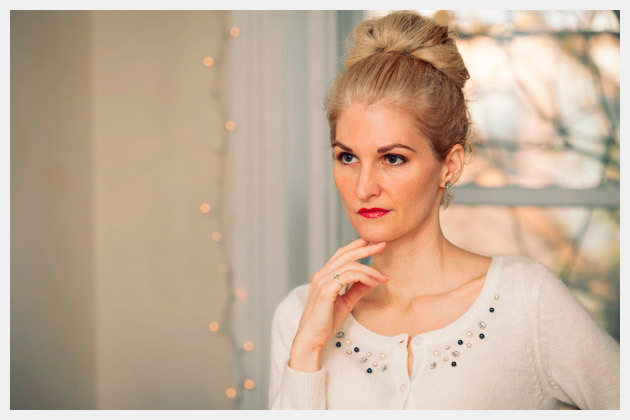 Such a chic update to an otherwise plain cardigan. And so easy, too! 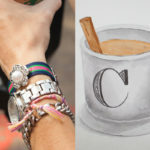 Great job, Cathy! 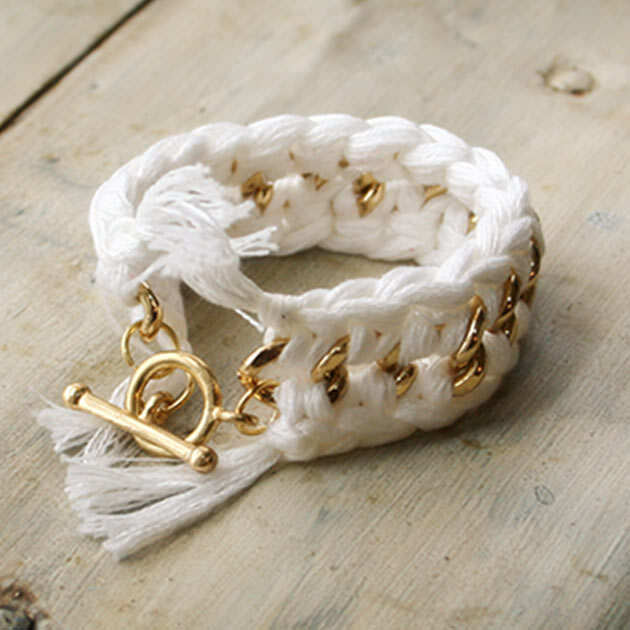 lovely, chic and simply. 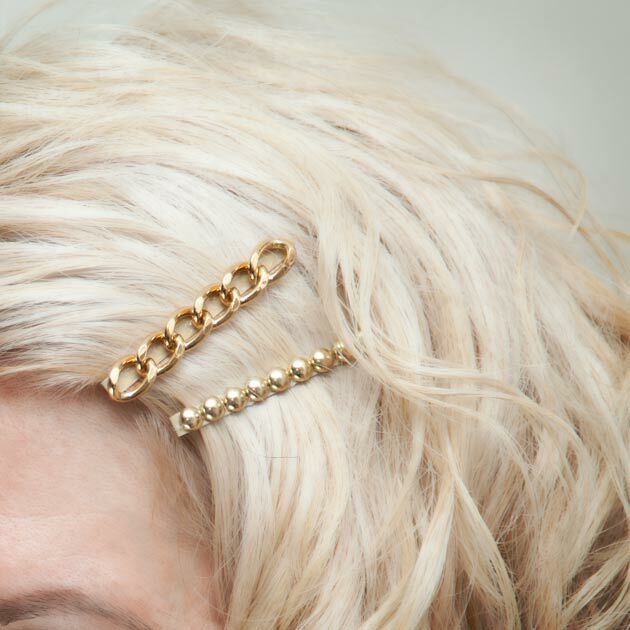 completly elegance. THANKS AGAIN!